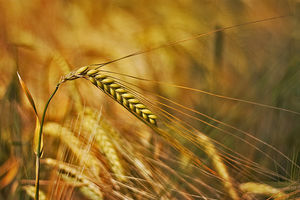 The Malting Barley Endorsement (MBE) provides additional quality protection for malting barley acreage that is insured under the Small Grains Crop Provisions. The underlying Small Grain Crop Provisions policy can be any of the three insurance plans including Yield Protection, Revenue Protection, or Revenue Protection with the Harvest Price Exclusion. The Chicago Board of Trade’s soft red winter wheat September contract pertaining to the crop year (discovery periods shown below) along with the determined “contract price(s)” are used to establish the projected and harvest prices for contracted production under the MBE. The projected price discovery period for the fall planted malting barley type is August 15 through September 14 of the calendar year preceding the crop year. The projected price discovery period for the spring planted malting barley type is February 1 through the last calendar day of February of the calendar year of the crop year. The harvest price discovery period for all malting barley types is August 1 through August 31 of the calendar year of the crop year. This application is for informational purposes only, there are not assumptions of accuracy or completeness at this time. The final prices will be released on RMA’s Actuarial Information Browser once price discovery is complete. Yield Protection plans do not use Price Volatility or Harvest Price. Market data and implied volatilities are licensed through Barchart.com. These values ARE NOT final until the discovery period has ended and the price is approved by RMA. This Market Price for Malting Barley under the Malting Barley Endorsement is calculated using the soft red winter wheat, the September contract pertaining to the crop year, and the Chicago Board of Trade.